Rachel Dolezal will name son after Langston Hughes, Vice reports. 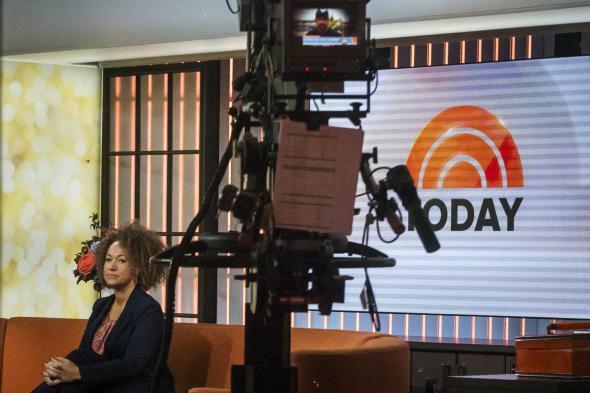 Rachel Dolezal on the set of the Today show in New York on June 16, 2015. In the midst of all of this, she discovered she was pregnant. (Rachel declined to discuss the baby’s father.) She chose to keep the baby: “I couldn’t handle any more loss.” The trauma from her public lambasting led her to decide to name the child after the Harlem Renaissance poet Langston Hughes. Amazing. Langston Hughes, who is remembered in part for writing evocatively about the hardship of being black in the United States. Truly amazing.